The agreements that Serbia’s leaders have signed in China are typical of its business practices with foreign investors – funding infrastructure projects with loans, and with little transparency. Serbia and China recently signed deals for Chinese companies to invest in a Belgrade-based bus manufacturer, construct an industrial park and build a bypass around Serbia’s capital. However, experts fear Serbia could end up paying big subsidies to the investor into the bus factory, as well as interest rates on the loans for infrastructure projects. 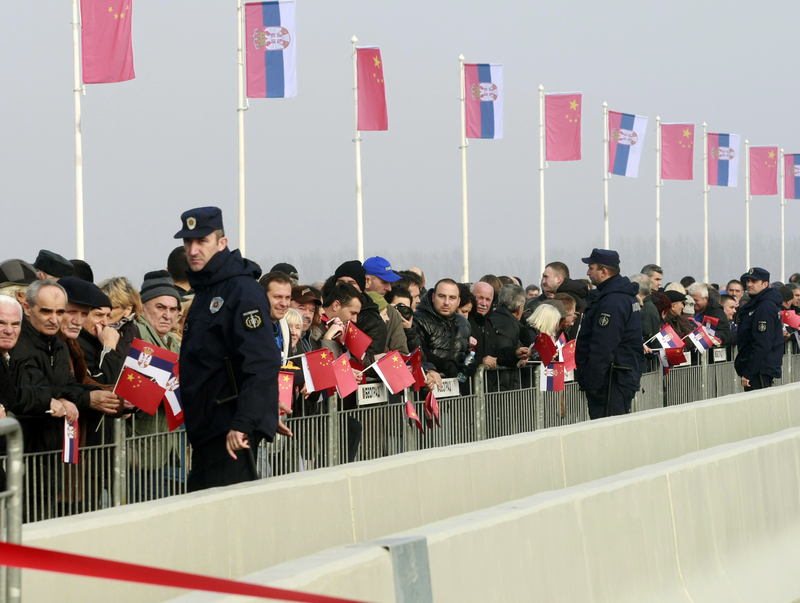 Serbian Finance Minister and the former Belgrade mayor, Sinisa Mali signed two agreements for the construction of the bypass, a 207-million-euro project, during a state visit to Beijing on September 18. The Serbian and Chinese Presidents, Aleksandar Vucic and Xi Jinping, oversaw the signing of the deals for the financing. Mali claimed that most regional transport of goods would now go through Serbia thanks to the new bypass. “This project is of strategic importance,” his office said. However, economist Milan Kovacevic warns that Serbia is merely borrowing money from China to pay a Chinese company to do the job, adding that this practice had become common in Serbia’s dealings with the Asian superpower. “It is not an investment, or rather, it is our own investment – not a Chinese one,” Kovacevic told BIRN. Two contracts signed in September concern a concessional loan for the construction of the final 20.4-kilometre-long section of the bypass around Belgrade. It will be constructed by China’s state-owned Power Construction Corporation, with Azerbaijan’s AzVirt company as the subcontractor. Concessional loans typically provide better terms than market loans, such as longer grace periods and lower interest rates. But Kovacevic said it would have been better for a Serbian company to build the road, using a tender to find the most favourable contractor. He noted that road infrastructure projects done in Serbia by Chinese companies in the past had sometimes failed to meet modern standards – citing the bridge connecting Borca and Zemun in Belgrade as an example. “We heard stories that it would be a modern bridge; in fact it was a concrete one that we had the know-how to make, and do better, decades ago,” Kovacevic said. The bridge cost about 170 million euros. Some 85 percent of the funds came in loans from China’s state-owned Export–Import Bank. The deal was signed in 2010, under Serbia’s previous, Democratic Party-led government.